Whisk together the olive oil and balsamic vinegar. Puree the dressing strawberries and pass through a sieve, then whisk into the oil mixture. Taste and season with cracked pepper. 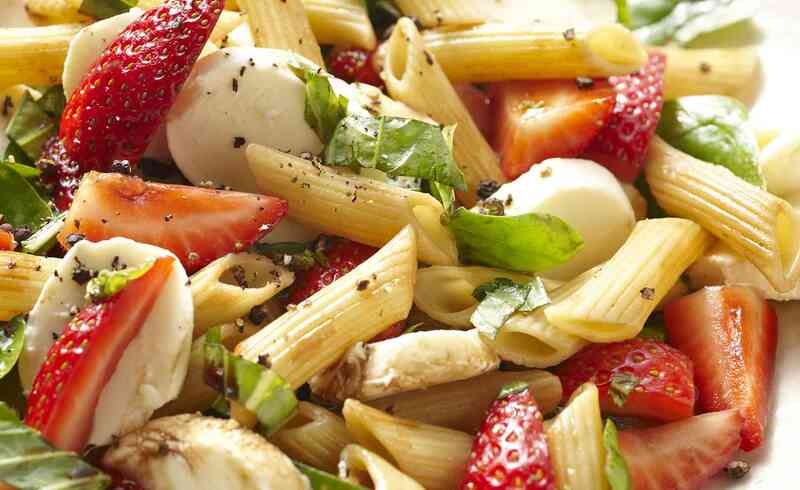 To prepare salad, toss pasta, strawberries, mozzarella and spinach in a large bowl with dressing. Allow to sit for 10 minutes then serve on a large plate. Top with torn basil leaves.